What if you don’t have time to build a relationship with a prospect and just want to present the opportunity? Then don’t start with the product or service. Or the benefits of your opportunity and the company. Don’t mention the incentives, bonus checks, trips, cars, the awesome products, the owners/founders of the company, etc. Instead, remember that people only care about what’s in it for them, or that they don’t like to be sold but they like to buy things that may help solve a problem that they have. So structure your presentation to solve a problem for your prospect. Talk about how your business will make it easier for them to take more time off work, or how things could be easier if they had an extra pay check every month to pay the bills, or how they could earn a free car for their spouse. Prospects don’t care how great your opportunity or products are. They only care about their problems. That’s the shortcut when you don’t have time to build relationships. 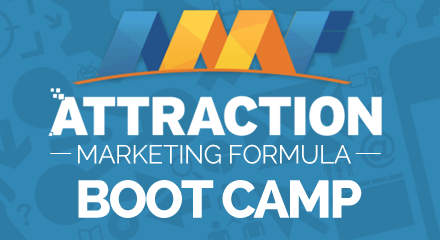 PS: If you want more valuable information on an easy way to recruit without the rejection, cold calling and bugging family and friends…Click here for your FREE Attraction Marketing Boot Camp and receive step-by-step instructions on how to ATTRACT prospects & customers to your business!